Marriage should be the most trusted and intimate relationship of all, but for Ramona Probasco, marriage quickly turned into a prison of fear and danger. She suffered and perservered through two decades of physical, emotional and verbal abuse. And in spite of her ex-husband's evil intent, Dr. Ramona triumphed-not only escaping the abuser, but in the process becoming personally whole and professionally equipped to help thousands of other women overcome domestic abuse. Kim: Did your parents know the way he was treating you before the marriage? Ramona: In the dating years? Kim: In the dating years? Ramona: —then, it didn’t seem like it. It wasn’t until—one time, my mother did come out to visit; and Ben had gotten upset with me. We were, at that, involved in ministry. We’d gotten out of the military. We’d gotten involved in the ministry, and we fought a lot about money. He was more of a spender, and I was more of a saver. He was just going through money fast, and we would argue a lot about it. He was using money to pay for ministry-related items, and we needed to pay our rent. We had sold the house. We’d, literally, gone through savings, sold the house, just to try to free up cash. And I took some of the money, and I went, and I paid the landlord without saying anything to him because they gave us an eviction notice. Ramona: When Ben found out I did that, he destroyed our home office. By destroy, I mean busted office chairs, punched file cabinets, broke computers. I walked into that mess. Mom was there, and she left shortly thereafter that. It was just so too intense for her. Kim: From the FamilyLife podcast network, this is Unfavorable Odds. I’m Kim Anthony. 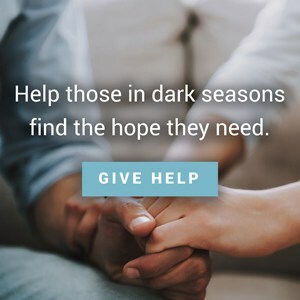 Unfavorable Odds—well, it’s all about finding hope and help in those seasons of life when things get pretty difficult. You know Jesus has promised us that whenever we walk through those dark valleys, He’s always going to be with us. We’ll never have to do it alone. So, on each episode of this podcast, we’ll be talking with people who have learned how, in the dark places of life, to draw their strength from Jesus. When we say our vows before God on our wedding day, for better or for worse, I don’t know if many brides actually give those words serious thought. I don’t think I did. So, what happens when your worse becomes your reality, and you find yourself experiencing physical abuse on a regular basis? That’s what Dr. Ramona Probasco experienced for almost 20 years of her marriage. Dr. Probasco is a marriage and family therapist, and she’s certified as a Domestic Violence Counselor. She has written a book called Healing Well and Living Free From an Abusive Relationship. Actually, I have friends who have this as their reality. So, it was very good for me to sit down with Dr. Ramona to discuss these things so I could better walk with my friends through their abuse. Ramona: I did not grow up in a home where I witnessed domestic violence. As a matter of fact, I grew up in a situation where I’m the oldest of three. I have two younger brothers. We were, for the most part, sheltered. Our folks had us go to private school. For me, it was coed up until high school. As soon as I started to hit those adolescent years, Mom and Dad were like—“Quickly, remove the boys.” So, I went to an all-girl academy. Like I said, I didn’t witness what I would later experience in my own marriage. My parents were very traditional. My mother was a stay-at-home mom. To this day, I always say she was and is the backbone of our family. I really believe that my strength—a lot of that I got from her and her example. My dad was a very hard worker. He escaped from a communist country when he was a young boy. So, he brought with him an attitude of—never say die / never quit; if it’s going to be, it’s up to me. Which in some situations can be excellent; but in an abusive context, it can be misapplied. So, with my father, he was a very hard worker; and honestly, I could say workaholic. He would agree with that as well. So, he was gone a lot, and that, looking back, I can see created a hunger in me for male attention to be the priority, I guess you could say; but yes, my growing up years very sheltered. As a matter of fact, my dad was the one who introduced me to Ben down the road. Kim: Tell me how that happened. Ramona: Sure; sure. So, my folks were looking to move their company to the West Coast, and it was the summer of ’83. Dad would spend the days doing different business meetings and what-have-you when we were on vacation. We were there all summer. One particular day, we were at the beach. It was Mom, my two younger brothers, and myself. My dad had come, and Ben—whose name has been changed for the book—my former spouse—he was playing soccer with some of his friends on the beach. Well, he wasn’t—I shouldn’t say that. He wasn’t playing soccer, but he enjoyed soccer. We happened to have a soccer ball that was lying on the blanket. Ramona: So, anyhow, I come back from my walk, and my dad is talking to Ben. I walk up to him, and Ben and a couple other people were just standing around. My dad said, “Ramona, I’d like for you to meet Ben. Ben, this is my daughter.” I was—I thought, “Wow, he’s really handsome. He’s an athlete.” I was a young teenage girl. So, it wasn’t love at first sight, but I was definitely enamored with him. Ramona: No. Remember, I was at an all-girls school. Ramona: At that time, we did not know—well, the kids didn’t know anyhow that we were going to be moving the following month to the West Coast. Kim: —you wouldn’t see him again. Ramona: Well, I wouldn’t see him for a while. Plus, I think my dad thought, “Well, he’s in college”—a freshman in college—and I was going into my junior year of high school. Kim: To not have an interest. Kim: So, what was it like when you and Ben started dating? Ramona: It was very, boy—well, that summer romance—and that’s the best way I can describe it. It was—it was a summer romance. All the things that you equate with that and you associate with that—the walks on the beach; you know? Kim: Did he sweep you off your feet? Ramona: In some ways, yes; in some ways, no—because, again, I just didn’t see it coming; you know? I was really focused on my schooling. Again, at the time, I didn’t know we were going to be moving. So, in my mind, I didn’t think there was any chance of any sort of future down the road with him; but he did—I remember before we left at the end of that vacation, he asked if he could take me out. My parents agreed to it, and he—they let us use their vehicle, which was a very nice car compared to what Ben was driving around at the time. He showed up with a dozen, long-stemmed, beautiful red roses; took me to this beautiful restaurant right on the ocean where you could see the ocean. He was funny. He was witty. He seemed to be really easy-going; you know? So, that, I would imagine, would be attractive to most people. Kim: —is bringing you roses, taking you to wonderful restaurant. I can imagine that you may have been smitten. Kim: So, Ben—during his sophomore year in college, he left school and joined the military. Kim: You described how he slowly began to transform before your eyes. Tell me some of the things you began to notice about Ben that was out of character from that Ben you first met. Ramona: So, that loyalty was already in operation. When I look back now, I didn’t know what the red flags were. If I did, I think I—I don’t know—I, probably, being young and naïve, would have flown right passed them; but there definitely were signs of—even early on, Kim—signs of disrespect, not keeping promises, breaking his word, even name calling in our dating years. So, there definitely were signs. It did not become physical until a little over three years into the marriage; but there definitely were things, now, that I see were clearly red flags. Kim: Right. Well, during your freshman year in college, Ben proposed. Kim: —that he would send you. Yet, you said you were put back by his proposal. Why is that? Ramona: It seemed too fast, and that is very common—not always but common—in relationship where abuse is looming, if you will, down the road. These relationships tend to be intense and move quickly. Now, we dated three and a half years; but most of that time was long-distance. Ramona: But yes, when he proposed to me, it wasn’t the most romantic response; but I think it was my logic part of my brain kicking in where I said, “Well, if you promise to support me through my highest degree, I’ll get married now.” He agreed to it, I think, not realizing eventually it would be a PhD. Kim: It would be a long road ahead. Kim: So, you agreed to marry Ben. So, I would panic, thinking, “Well, no, I don’t want it to be over”—that seems a little dramatic. Ramona: So, then I would back off from my concern and just regard myself. Kim: Wow. So many women do that. Kim: But you were talking about what you were feeling in your gut. You knew there was something wrong. Were there other red flags that began to manifest themselves as you were journeying toward that wedding day? Ramona: There was one particular—well, there were lots, but I’ll share one particular story. It was that freshman year of college I was in and had a group of friends—like all of us do. You know you meet people. I’m far from home, and he happened to see a picture of a group of us together. At the time—I don’t really go into this in the book very much—but I was really hurting from a herniated disk. So, I was in a lot of pain—sciatic pain. I did not have other proper insurance to get what I needed—like a—I literally needed a wheelchair. Ramona: I couldn’t walk, and my friends would—we found a dolly. I said, “You guys, let’s use this dolly.” This is a true story. Ramona: So, basically, Ben saw a picture of us, and my friends pushing me on this dolly. There was a guy pushing me because, frankly, I mean, well, there is weight here. You’ve got to have some muscle to push. Ramona: Of course, I go into high gear of trying to calm him down and explain. So, I ran down to the lobby, and I’m like—“It’s not what you think.” Eventually, he sat with this friend of mine and realized he was just a very nice person; and Ben said, “Will you please forgive me?”—to this friend of mine—which, looking back, is odd—to go from I’m going to blow up someone’s car to “Will you please forgive me,” that quickly, again, red flag that I blew past. Kim: Take me to your Christian faith. How did that happen? When did you enter into a relationship with the Lord? Ramona: I grew up attending a Catholic school, but it wasn’t until I was 17 years old. Here’s the kicker. It was, actually, Ben who first talked to me about what it means to have personal relationship with Christ. It was through Athletes in Action who had shared Christ with him. So, yes, Ben was the first one to share Christ with me. Then the Lord used my best friend—Chelsea is her name in the book. We’ve been friends for 34 years now, and she was very instrumental in sharing her faith with me. Ramona: He’s had my back ever since; yes. So, I left, and I spent a short bit living in my B-210 Datsun. I’m really dating myself now. Then thank God that wasn’t for very long. Then I started staying with different friends. Then I lived most of my senior year with two gals that I had met at a restaurant where I was a waitress, and they were the cooks—strong believers. They really discipled me. I slept on a mattress in their dining room, and I don’t say that for pity or whatever. I’m just giving you background right now. Kim: But I think it’s phenomenal because a lot of young women that were your age—17—around that age who leave the home don’t end up in the home with a couple of Christian women who disciple them. Kim: They end up in places—oh, my goodness—that are unspeakable. Kim: Yet, God—you said He had your back; right? Kim: He was with you. Kim: I can’t help but think that He guided you to those women. Ramona: He did. There’s no doubt about it. Yes, eventually, the good part of this portion of the story is that my mom, then, came to accept the Lord. Kim: How did that happen? Well, as we were leaving, my dad came home; and he said, “Where are you going?” I said, “I’m taking Mom to a breakfast.” He said, “No, you’re not.” I remember us being toe-to-toe in the hallway. I was always respectful of my parents; you know?—at least tried to be. I’m sure I gave them fits. If they were here on the mic, they’d probably be saying something different; but I just said, “Dad, I need to do this. I’m going to take her.” He just stepped aside, and we walked out. I took her. Kim: As you were describing the encounter with your father toe-to-toe, I saw that, perhaps, there was a sample of the strength that you would need in your relationship with Ben later in life. Kim: Now, let’s go back to this situation. You’re college. Ben is there to blow up the guy’s car. This is the same young man who introduced you to Jesus. Ramona: Both. His reaction bothered me because it just didn’t fit; you know? That wouldn’t fit anything unless you are in war where you’re told you’re supposed to; you know? Ramona: But it was interesting—and that’s interesting—I use the term war because what I later realized is that Ben started to see me or other people as his enemy; and I don’t know how much of that had to do with the military influence—because one of the things that he would say is: “Kill, kill, kill.” That was like his mantra, “Kill, kill, kill.” Again, that’s not normal; you know? Down the road after both of Ben’s folks passed away, we had to go through his parents’ belongings and decide, “What are you going to keep? What are you going to give away?”—that type of thing. His folks were somewhat—especially his dad—somewhat of a little pack rat. So, it was quite the project. As we were going through the house, I remember being in the guest bedroom, and I opened up the nightstand and pulled the drawer open. I saw this, like, leather sort of—like a brown book in there. I’m not a snooper, but we’re going through their stuff, and we had to decide what to give away and what to keep. Kim: Where were you in your marriage with Ben? Ramona: Yes; yes. There was just so much confusion around that. Of course, abusers—which I was not calling Ben that at the time—but people who choose to abuse—they always blame the partner; you know? So, I think God, in His infinite wisdom and grace—and I know that sound kind of strange to some people—but I do believe that that was His grace that He allowed me to see that. Kim: He admitted, “No, it wasn’t you.” The relief that I felt in that moment was priceless. Now, I still don’t have the answers as to why he would do such things; but to know—I just think so many victims / so many women who are being abused, think it’s them. They think it’s their fault. So, they stay in the relationship thinking that can fix the situation by changing how they act, who they are, what they do. Kim: So, we take that responsibility on ourselves. Ramona: Yes. You know there is an answer to that question that you asked your dad. There’s a gentleman by the—an author—by the name of Lundy Bancroft who is—I have such incredible and deep respect for this man. He actually started the nation’s very first abusive men’s group over 30 years ago called Emerge; and Lundy worked with several thousand men before he wrote his book, Why Does He Do That? : Inside the Minds of Angry and Controlling Men. Kim: How did that sit with you? Ramona: It made sense to me. I wished there was more of an answer. You know just like when you asked your dad—“Why Dad?” The answer, “Because I could,” still hurts. Ramona: But something in that answer—there’s truth and wisdom in that. It makes sense. Regardless of how the abuse expresses itself, abusers do it because they can. Why do they continue to do it? Because they can. The only way to stop abuse is to leave abuse because only 1-percent changes. Only 1-percent does the hard work of changing—repenting. Kim: So, they abuse, in essence, because we allow that abuse because we’re not walking away? Again, I came to know the Lord personally when I was 17. So, I was still a young Christian, and Ben was too, frankly. He had just come to know the Lord, himself; but I really—I thought—I took God at His word, and I still do. He’s not failed me. He just answered my prayers in a way that—in a sense, I didn’t initially want Him to. You know I wanted for the marriage to be saved, and I wanted Ben to change. That was the miracle I held out for. Ramona: I know in just working with a lot of Christian women is that’s a big struggle. You just—my gosh—I even—one night, I got out of bed in the middle of the night because I had read something about Samuel anointing Saul with oil—King Saul. I thought, “Wow, there’s”—again, I’m pretty naïve when it comes to Scripture. Ramona: I said, “Well, if this worked for Samuel, it’s going to work for me”; right? So, I got out of bed, and I went to our kitchen pantry. I got some olive oil down, dip my finger in it, went back to our bedroom. Ben was sleeping, and I just—I prayed with all my might, Kim. I was like—“God, please, stop this. Please, Lord.” I was pleading with Him. I drew this little oil—and my kids would call them oily crosses—this little oily cross on Ben’s shoulder. Ramona: Right. Basically, all he was, was greasy. That’s hard. Kim: —hoping for change. What are some things you started to see just prior to your wedding day? Ramona: That’s a great question. Well, the name calling, for sure. That was definitely becoming a problem, and my response to that—when I look back, I just see how—this sounds sort of silly—but I wrote up a contract. It wasn’t the first contract—okay?—with Ben. I included myself on this contract—again, thinking that I am a part of the solution. I basically listed the words that he would call me, the name-calling; and I said, “Let’s both agree that we’re never going to call each other these names. I promise I will not call you these names, and you please promise you will not call me these names.” We both signed it, and we dated it. I thought, “Okay, this is a signed contract.” My dad was in business. This was serious; you know? Ramona: But needless to say, that didn’t last long. So, definitely that—as much as it may not seem necessarily like—“If someone doesn’t keep their word, is that a red flag?” Well, yes, it is. Kim: Take me back to the very first time he physically assaulted you. What happened? Ramona: We already had our first child. She was three years old, and I delivered our second. We were living in a tiny, little apartment; and we were both going to school full-time. Ramona: Bible school; mm-hmm. Ben had asked—he said, “I want to care of the bills,” which made me nervous because I wasn’t sure they would be paid on time; but I was overwhelmed with school and babies, and I was just like—“Okay; sure”; you know? Well, I had discovered one morning that there was a pink slip in the mail from the electric company that they were going to shut off our power because he hadn’t paid it. I was really upset. His mom called as she often would on a Saturday morning. I was crying, and I was upset about this power going to be turned off and him not paying the bill. He heard that I had shared that with her. When I got off the phone, he picked me up, and he threw me against the headboard of our bed. I was in—I was like—“What is going on? !” It just—it—I can’t really find the words to describe—you know?—but it’s just a mindbender; you know? Ramona: This person says they love you and promises of forever and all that, and you’ve already had your second child with threw me like I was a sack of potatoes. Kim: —in the day, and here within hours of pursuing greater knowledge of Jesus—he is throwing you against the headboard of your bed. When this happened, it sounds like you knew that part of it was because you had shared something about him to someone else. Ramona: Right; that’s right—that didn’t put him in a good light. Kim: So, do you think that that prevented you from sharing the physical abuse that you would later come to experience in addition to what had just happened? Ramona: Definitely, the fear of punishment, for sure. Kim: The fear of punishment. Ramona: The fear of punishment coupled with the fact that I really tried hard to protect our—his image / our reputation. We were really well liked at the school. We were amongst the minority of college students that were married already and had children. Again, you know, how Ben presented to friends and family was very different than what we lived with; and he wasn’t like that all the time. There were times where he was really funny and fun to be with. So, it just—it’s what I explain now to clients—the type of conditioning. The phrase is called intermittent conditioning. In a nut shell, what it means is—it’s reward, reward, punishment / punishment, punishment, reward / reward, punishment. There’s no predictable pattern of when punishment’s going to happen or when reward is going to happen. So, if I knew that every Wednesday Ben was going to hit me, I would be gone on a Wednesday. Kim: Right; right. I’m just getting a little bit emotional here because when you talked about reward, reward, punishment, flashback—that was my life. Kim: And to this day, when good things happen, I, in the back of my mind, automatically think, “Okay, when is the punishment coming?” I have never been able to understand why that is the case in my life as a 50-year-old woman until today—intermittent conditioning. Kim: —into that same abusive situation. Kim: When was it that you realized that you were living in an abusive situation? When did you first use the word abuse? Ramona: Before I started using the word abuse, I knew that something was very wrong. I, myself—just like an abuser has a Doctor Jekyll / Mr. Hyde duality in their presentation between public persona / private, so does the recipient of abuse. Kim: Yes, describe what’s before us. What are we looking at right now? Ramona: —was notified about what was going on in our home. The social worker told me that if I let Ben back into the house, I risked losing the kids. So, that was a massive, massive wake-up call to me. Well, when I first looked at the form, and I read at the top “Abuse Evaluation Form,” I was like—“Oh.” That’s the first time I read the word. It’s the first time that that, in a sense, kind of hit my brain that there is a word that we use for this type of behavior. It’s not—“He’s got a bad temper,” “He’s in a bad mood,” “You have too many bills,” “You have to learn how to communicate”—whatever—all these excuses that we make for abuse. Ramona: It’s because he can. Ramona: All right. So, I went ahead, and I just started marking. She has these different sections here, as you can see—physical abuse. She had it divided, and I just started marking most of the things on here: emotional, verbal abuse. Kim: There could be 50 / 60 options for you to mark. Ramona: I know. There were a few I left off. Kim: —with very few exceptions. Kim: Would you have filled this out if you knew other people would read it? Ramona: Not to the degree of honest I showed; no. Ramona: It just made it too real, I guess; you know? I knew enough—because I had gotten my degree in counseling. At that point, I had my Master’s Degree. I was actually in private practice when we were living in the South, and I stepped away because the incongruency between what I told clients—to live in truth—and the lie that I was living. I remember the day I walked into one of my colleague’s office—because no one knew about it—even with her, I didn’t go into any detail—but I said, “You know I’m going to start refer my clients out, and I need to step away.” I remember her saying to me—she was very polite, little Southern gal—in so many words, she’s like—“Are you crazy? You know you have this lucrative counseling practice?” I just—I didn’t go into detail as to why, but the incongruency was just destroying me. Kim: There was a time when you walked into a counselor’s office, and you wore sunglasses. It wasn’t because it was bright and sunny. It wasn’t because you were trying to go incognito. There was something else. What were you hiding? Ramona: That was actually our pastor, and that’s when we were still living in the South. So, that was before I met this counselor and filled out this form. It was also before I knew that you do not do couple’s counseling when abuse is present. I didn’t know that, and I wasn’t calling it abuse yet. So, I thought it was a couple’s problem. So, we would meet with our pastor, typically, together; but on this particular—honestly, I don’t remember if it was an individual session, or Ben just didn’t come because that was a big problem. If he knew I wanted something—like counseling or to meet with friends for dinner or whatever—and he was upset with me for any reason, he would back out last minute and not keep his promise. So, anyhow, I met with our pastor. I remember I was sitting in his office, and I had a black eye. Before—you know I caked on the makeup and put on some glasses. When I walked into our pastor’s office, I left the glasses on. He—as we started our session, he’s like—“Why are you wearing glasses?” I lied to him. Now, the reason I never called the police is because Ben had always told me: “If you ever call the police, someone’s going to end up dead.” That is what he would tell me. Because of his training / because of his threats, I just believed him. Because that was a big thing—he would buy guns. He would buy them. I would hide them. He would buy them. I would hide them. So, I just took him seriously. Kim: Did he, at one point, threaten to snap your neck? Ramona: —“mother will recognize you”; yes. He would laugh at that. He would think it was funny; but again, with his military training, Ben’s a big guy—real big guy—even if he was little guy, I would take something like that serious. Kim: To the woman who is listening to our conversation right now, and she’s heard some of those same words—she’s afraid. She feels trapped in this space because she knows that if she reaches out for help, she’s in trouble. Kim: She knows if she stays, she’s in trouble. If she has children involved, they could be in trouble. How would you counsel that woman? Ramona: What I would encourage her is to—well, go to my website, DrRamona.com, and I have a section on safety planning. I actually wrote my safety planning section for when a person is preparing / their contemplating leaving and the things to keep in mind when you’re preparing to leave. Then my next section is when you’re actually leaving. Then the third is after you’ve left because, Kim, the most dangerous time for injury and fatality—it goes up by 75-percent—the risk factor—is when a victim tries to leave. So, that is the most dangerous time—is when you are leaving. So, if you can prepare—now, if you can’t, and you’re in eminent danger, then, you just—you have to just go—go for it—even if you don’t have anything but the shirt on your back. And I’ve worked with people who have had nothing but the shirt on their back and their baby tucked under their arm. They just don’t look back. Kim: You were in an abusive relationship for how many years? Kim: —to live under those circumstances. Ramona: What sustained me the most was definitely my faith. As much as I was confused for many years about the “Pray more and I’ll get the miracle I want,” I would talk to the Lord constantly. I remember one particular time when I was home by myself, I was folding laundry, and my son had come home. I always folded laundry in the same place on the second floor. It was spread everywhere, and I’m just trying to tackle the piles. I was talking to the Lord because, often, when I was home by myself, I would just talk to Jesus out loud. My son was walking up the stairs, and he says, “Momma, are you talking to Jesus?” I said, “You best hope I am. You kids drive me crazy.” [Laughter] I’m just kidding. I can remember, Kim, so many nights, I would lay on my side, and we would be back to back. The tears would just fall sideways; you know? Women know what I’m talking about—men, too—if they are going through this. Ramona: Those sideways tears on your pillow, and I just was like—“God, please help me.” I would always say, “Help me, Lord. Help me, Lord. Help me, Lord.” My relationship was constantly on my mind because abusive relationships—they require all your focus, your attention. So, it was really—it was God, and He just protected me. He held me. He’s who I talked to. He’s always been my go-to guy. Kim: Now, you talk so candidly and deeply about your faith and how it was God that helped you to endure those 20 years. Was it your biblical viewpoint that kept you in that abusive marriage? I know that there are some women who are dealing with this similar situation, and they believe that there is only one reason to leave that marriage; and that is infidelity. Kim: What do you say to that woman who also shares your Christian faith, yet, she’s in a dangerous situation? It’s a difficult one. Ramona: Right. It’s one I wrestled with myself. Ramona: I’m not a Bible scholar; okay? So, I don’t profess to be. What I do know is that—“Jesus loves me. This I know”—and what I do know is that when I think about my Jesus on the cross, I think, “He died for me. He died for you. He died for people.” Marriage is important. Marriage is important to God. Marriage is important to me, and it should be. Ramona: But if we put the institution of marriage above the safety of a human life, I believe that’s backward because Christ did not die for institutions. He died for people. So, I believe we must always prioritize the safety of human life. If a victim of abuse decides to divorce, my thought on that is that she’s merely legally carrying out what the abuser already severed spiritually. I believe abuse severs the covenant. Kim: There can be shame involved in an abusive situation, and it’s difficult for the person being abused to share. Yet, as you mentioned, the safety of that individual is so important in God’s eyes as well as that marriage. Kim: My heart aches for those who are wrestling in that struggle. I don’t have the answers, but God does. Kim: My hope is that the person listening to this conversation / the person hearing your heart for the Lord and for life can understand that they can seek protection. Ramona: That’s right. That’s right. Kim: It’s so hard—such a hard situation, Dr. Ramona. Ramona: —in regard to what we are talking about right now. In Psalm 72:14, it says, “He will redeem them from oppression and violence for their lives are precious to Him.” Isn’t that so sweet? Ramona: I wasn’t then, and you could ask my sweetie today. I am not a perfect wife; but no one deserves to be abused. Abuse is not love. True love is safe love; and when there is fear in a relationship, you know, there is abuse. Kim: The ones we fight back. Ramona: Yes, the ones we fight back; exactly. Kim: —but He collects those tears. Ramona: That’s good way of asking me because there was the first time, then, you have to recommit to it. The very first time was when I was sitting across a table in a restaurant; and I guess people have to read my book for this—unless we get to this part—but I—in my story, I take Ben back after a three year separation; but just prior to that, I was sitting down with a lady who was helping people with financial problems and just being in that marriage and joining my name with his credit and all of that. I was—my credit was a mess. Ramona: You know? I know that may sound crazy, but I just—I don’t know—I mean I wanted to say—I had left Ben many times, and the average person in this type of abusive situation—they leave six to eight times before they leave for good. Kim: You’ve been conditioned to accept it. Kim: Right. Does it make God any less powerful that He did not change your husband? Ramona: No, it just makes Him God because He gives us a freewill. You know the story I often think of is when Jesus was on the cross, and He had the two criminals. One of them is saying—I’m paraphrasing here—“You are the Savior. Remember me when You go to paradise.” Jesus tells him—“You’re going to be with me in paradise.” Well, the other guy on the other side of the cross is mocking the Lord. Ramona: —“‘because it’s not a good plan for you, if not.’” He let that man choose. That is what distinguishes us from animals. Animals have instinct. We have freewill. We’re created in God’s image. That’s a gift. It was not Ben’s will to change. The bigger miracle was me accepting the fact of God’s sovereignty that He allows each of us a freewill; and sometimes, we choose in ways that are contrary to what He even desires for us. Kim: Dr. Ramona, take us through the process of you finally coming into a place of walking away from your abusive marriage. Ramona: All right. I had taken—if I may, kind of just give a little preface that part of the story. When I took Ben back, it was after the three years where I was in counseling. I don’t—individual counseling—I don’t believe he did, but he was involved with the men’s group. I was involved with the women’s group. Then my dad said, “I want to send you two to a week long, intensive marriage-type of thing”—where we were one on one with this psychologist for a week straight. So, after that, I had purchased a home. Again, a lot of details to that story—but I was involved with some real estate; and I had gotten a commission. I decided to put the whole thing on a house. I bought this house, and I was sitting there on New Year’s Eve, and my son was in Europe. He was playing soccer. My daughter was being manipulated by her dad and wasn’t speaking to me. That’s another whole story. My littlest one was just kind of bouncing all over the walls with everything. She was at an amusement park that night. I was sitting there eating Chinese food on New Year’s Eve by myself with—in this new house with boxes all around me, and I just missed my family. I missed—which I didn’t realize, then, that family can be defined differently; but I was still seeing it as father, mother, 2.5 kids, dog, and a white picket fence. I was so lonely. I said to Chelsea, my best friend—I was talking to her. We talked for over three hours on the phone. I said, “Chelsea”—I said, “I can’t take this anymore.” The kids are all over the place, and I’m sitting here in this empty house hearing my own voice bouncing off the walls. She said, “Well, just sleep on it”; you know? So, the next morning, Ben called me. He said, “What are you doing?” I said, “I’m just going to go take the dog for a walk.” He said, “Can I go with you?” He never liked to walk. He did in the dating years, again. Remember in the swooning years. Ramona: I said, “Okay.” We walked several times around the lake, and he never complained. After that, he said, “Can you just—can we just give it one more try?” I just said, “Okay.” This was after a three and a half year legal, physical separation—a little over three years, I should say. Kim: Did you really believe he had changed? Ramona: Wanting the family back. Kim: Yes, wanting the family back. Ramona: —and knowing that—especially with my dad—was not supportive of the divorce, and I mean now he supports me wholeheartedly. Then he was just really confused. I just felt lonely, and I just wanted to have that feeling of what I thought was family back. So, I took him back. Kim: Once you realized that Ben did not have what it took to change to make this marriage work without the abuse, how difficult was the process—emotionally and procedurally—as you walked away from that marriage? Ramona: Very; very difficult. I actually—there was one particular evening where I had reached out to a mentor of mine and dear friend. He taught Ben and me when we were in undergraduate school. He was one of our professors, and I just adored him. To this day, he and his wife are just little, human treasures to me. I reached out to him, and I said, “I’d like to talk with you. I have to make a decision.” He was a person that I often would go to when I was at kind of place where I just really wanted some counsel that I knew was going to be wise and solid. So, he said, “Okay, call me on such and such a night. I’m going to have my cup of tea, and I’m going to be all ears.” So, I gave him a call. I asked him—I said, “You know”—he knew the background; and at this point, he knew about the abuse. He knew us for many, many years / a couple of decades. Kim: He was calling your bluff? I said, “Well, I don’t believe Jesus gives out gold stars in heaven. He is the gold star. He is the morning star. He doesn’t give out gold stars.” I said, “Well, I don’t believe that is going to happen.” But that was the point where—when I was asked the gold star question, I just—I don’t know—I just said, “You’re right.” There is no such thing. So, I hired an attorney—my first of three. Kim: And Ben did not make it easy. Ramona: It was another three years after that. Kim: Another three years. Was it three years of emotional back and forth with Ben, or did you separate from one another and not have to really have conversation or interactions? Ramona: Right. Well, he had gone—he was out of the country—working out of the country. So, that helped. Eventually, he had an affair; but I always tell women. Don’t wait for an affair. Abuse severs the covenant. Just in my particular case, that’s part of my story; but yes, he—once he realized that I had hired an attorney, and I wasn’t going to back away. I mean this is my speculation—but he just wasn’t signing things. He wasn’t signing—he knew I wasn’t going to date while that was going on until the divorce was final. So, he was just dragging it out—is what I think happened. Ramona: That’s exactly what she said to me. Kim: And she’s representing you? The second attorney was known by our family—my family—and I think he knew that my dad was not supportive of it. I think he was persuaded by that. So, he didn’t work for me. Ramona: Did not represent me well. Then, finally, the third attorney—I decided to go with someone who was going to really take it seriously. The third attorney was just a gentleman—a wonderful man. I asked him—I said, “Will you protect me and my kids? I need to know this.” I said, “Look me in the eyeballs.” He did. He looked me square in the eyes, and he said, “Absolutely.” He said, “Good men don’t hit their wives.” So, he did a very good job, and I thank God that the Lord brought him into my life. Kim: In what ways were their lives impacted? What did you do as a mom to try to protect them? I remember when Ben and I were still together, this was before any legal separation. We were still living in the South, and my son and I were talking. I don’t remember what the question was; but I remember him so articulately, Kim, describing the cycle of abuse that I talk about in my book. He didn’t use the terms—tension building, explosion, honeymoon phase—that pattern of abuse that these relationships go around and around the same circle. He used his own words. Ramona: That’s the tension building phase. You didn’t know to call it the tension building phase, but that’s what it was and what it is. So, the guilt I carried for so many years regarding my kids—you know I’d often leave with them. We would go—I would take them to the beach, several hours away, giving Ben time to “cool off.” I would try to make it seem like it was a vacation. I would say, “You guys, Mom is going to take you to the waterpark.” Often, they would thank me. They would say, “Mom, we had such a great time.” They didn’t know why I had left. Kim: That there was a reason. Ramona: There was a reason. Kim: Dr. Ramona, as I listen to you talk about the experience of your children and how domestic violence played out in their lives and the effect that it had on their lives, you said something to me that may be a bit of a surprise for someone who is listening in on this conversation. Because an obvious question would be for me to ask you, “Did you forgive your husband?” But in what you just shared, you said that you needed to forgive yourself. Ramona: Yes. For me, personally, when I chose to forgive Ben, I just—I don’t know—it was a decision I made in my will because I knew that, for myself—knowing myself—if I waited to feel like forgiving—and that’s not me only. I would imagine a lot of people resonate with that. I knew it wasn’t going to happen. Sometimes, we hold on to forgiveness or unforgiveness, I should say—or the granting of forgiveness—because we have confusion around it. It is a very confusing topic; but as far as forgiving myself, that—and I’m going to be very honest with you, Kim—it wasn’t until I got to this section as I was writing the book—the book took me four years to write. I intentionally talk—I dedicated an entire chapter to the subject of forgiveness, and it is toward the end of the book because I believe it is often misused and misapplied as if it’s like a cure-all or the ultimate panacea to the person’s pain. It’s not. If it’s used prematurely or used as a way to make it all better, you can cause further injury to the person who is already injured. A lot of people—including myself at the time—have a misunderstanding about forgiveness. Sometimes, well-meaning believers will suggest—“Well, you know, why don’t you just forgive him?” The implications are sort of like, “It’ll get better / it’ll be better. He may change”; you know? There are all sorts of unspokens in that. Ramona: —that the person that has abused needs to repent and take responsibility for their actions, recognizing the consequences for their actions. Kim: There are some times where someone may seek to reconcile, but it’s a dangerous situation where they do not need to be in the presence of that individual or that abuser. They, I guess, have to be okay with not being able to reconcile and, still, choosing to forgive. Ramona: They are separate issues. Forgiveness and reconciliation are not synonymous. It’s not required to reconcile because if you’ve forgiven, then you reconcile. That is a faulty assumption. That is not true. Like you said, it can be deadly. Kim: Will you talk about some of those reasons? Ramona: Well, for me, it was the idea of protecting the family, believing that eventually my prayers are going to be answered, not understanding that abuse severs the marital covenant. Having that duality of presentation to the public where people saw us a certain way—so, if I did come forward with my story, who is going to believe me because we look like the ideal couple? We’re in ministry; you know? We speak publicly together. There was no way that, I thought, people were honestly going to believe me. Ramona: “So, I can’t talk about it and not live it.” So, I actually stepped away from writing that chapter for a while; and I did my own work. I lay out in the book about how I actually identified things that I wanted to forgive myself for. I said them out loud, and one by one, I said, “Lord, I forgive myself for”—such and such and such and such—“I thank You, Lord, that you have forgiven me. I choose to forgive myself and lay this at the foot of your cross that You took a stripe for this”—just as he took stripes on his back for the abuser in his or her choice to abuse. He took a stripe for the victim and their woundedness and the results of abuse. One of them is to hold unforgiveness toward yourself. So, it was actually when I was writing the chapter that I worked through it. Kim: —got to that place? What was the conversation you had with your children? Ramona: That’s such a good question because I actually talk about in that chapter honoring your children’s pain. What I mean by that is, I think, it’s important to recognize that it’s one thing to come to a place where you forgive your abuser and you recognize what that means—meaning you don’t have to necessarily take them back. Secondly, forgiving yourself; but then, also, asking your children for forgiveness because my kids—they were dependent on me. They were kids. Ramona: They were at the whim of my decisions. So, with each one of my children, I—because their personalities are so different—and this is what I explained to the reader—is think about your child and think about his or her personality. What I mean by that—like with my first child, when I asked her to forgive me, it was kind of like a one and done. I said to her—“You know, baby, I’m sorry. I’m sorry what you went through and what you saw.” Of course, I’m just bawling. She said, “Momma, I understand, and I really do. I don’t hold it against you. I know it was complicated.” She was like—“Mom, just let it go.” I brought it up down the road, later, and she reminded me—she was like—“Momma, remember we talked about this. Remember how I said, ‘Just let it go; I don’t hold it against you.’” So, it was my first. My second—my son—it was more of a timing thing with him. When I first tried to approach him, he just wasn’t ready to discuss it. He wasn’t ready—just wasn’t in a place where he wanted to dialogue about it. So, with him, it was like I kind of had a feel for when he was in a better place. So, when we ask our children for forgiveness, it’s not about “me” as the mom; it’s about “them” as the child. What do they need? Where are they in their life? Sometimes, we have to wait for years; you know? This was down the road that I approached my kids with this. Ramona: Then, with my last child, with her personality—I always said she’s the exclamation point to our family. She is just—has the best sense of humor and just keeps me in stitches all the time; but with her, it’s been more of repeating myself. Ramona: She’s need to hear it more than once. Kim: —and ask them all the same thing across the board. Kim: But you tailored the way you approached your children, the way you honored your children to the degree that would match their personalities. Ramona: I really prayed a lot about it. It’s really being dialed into your child and then recognizing—if your child doesn’t want to talk about it or, maybe, responds back in kind of a harsh sort of way—because they are still in pain and hurting—to not take that personally. It’s between them and the Lord. You’ve done what you can do, and just continue to remain sensitive to them and don’t—because I asked my children for forgiveness doesn’t mean that they might be prepared at that moment. Ramona: It’s not that easy and nice and neat. Life is messy, and relationships can be tough. As you were describing how you approached each of your children, in my mind, I began to picture that what you were doing was you were taking the power away from the enemy to create this ongoing life of resentment. Kim: You gave room for the Spirit of God to move in those children’s lives—not that God can’t move without that apology. Kim: That’s not what I’m saying; but by leaning into that pain / by choosing to forgive yourself and seeing the hurt that your children experienced and honoring them by empathizing what they’ve gone through / what they feel, it’s really powerful. Ramona: —for them to step into and continue their healing well journey. Kim: And it will be a journey. Ramona: That’s right. It is. Kim: And I love that you went back, and you said, “Okay, how are you doing with this?” It wasn’t this one time and gone; but now, as they get older, when they have thoughts or memories pop up, again, you have created that safe space for them to come to to talk it out. Ramona: Because they are so uniquely different; you know? It’s—two of my children really enjoy counseling and the counseling process. One is not—you know counseling—that arrangement is not for everyone; you know? So, they are all on their own path, and I trust the Holy Spirit. I mean He’s—what He is doing for me, He’s doing for them. He’s doing for your listeners. It’s His job to heal broken hearts. Kim: You know women—they often stay in these abusive relationships because they love their abusers. What do you tell the woman who is currently in an abusive relationship, and how can you help her understand that it is possible—as you say in your book—to leave him loving him? Ramona: —or how it’s supposed to happen. Ramona: That was very powerful. Ramona: That has always stuck with me because, really, you’re—if a person chooses to leave, you’re leaving two men in one body. You fell in love with Dr. Jekyll. You’re afraid of Mr. Hyde. So, you’re leaving two men in one body. So, the one that you love that you always thought would show back up and stick around forever—you’re leaving him too. It’s hard. Kim: Wow. It is hard. It is hard. In your book, you have some wonderful, practical tools that women who are in abusive relationships can go to. Can you tell us about some of the practical things you have in your book? This book, Healing Well and Living Free From an Abusive Relationship, is one that I wish my mother had. It’s one that I will highly recommend to some of the women I work with now. Ramona: Thank you. That means a lot to me. Thank you. I wrote it the way I would want a book to be if I could have had something like that back then when I was going through it. So, I intentionally wrote it very non-clinical, very much like—my desire was—you know like I’m sitting across the table having a cup of coffee with someone. I wanted it to be packed with information but not overwhelming, and I wanted the reader to sense that I really am walking through this with them. I get them. Kim: —that you get them. Ramona: Good; good; I’m glad. Kim: What’s your life like now? Kim: Tell me about it. Ramona: —okay? The years that I actually stepped out of private practice—I want to let people know that. I stepped out private practice, and I went through counseling for six years, actually. Ramona: That’s right. To my healing well really—my intense time was during that six year period when I wasn’t in private practice. I was going to counseling. I was really working on myself, and I was not dating. Kim: And there is this dude I see over here. Ramona: Yes, he is such a—I refer to him as my sweetie because that’s what he is. [Laughter] Tim is amazing. He is; he is. Kim: Tell me who Tim is. Ramona: He is my husband. After the divorce and you have to read the book to get the full story, but I didn’t meet him right away. Oh, it was a couple of years after the divorce; but we actually met through eHarmony. I know that’s not for everyone. Frankly, I was shocked that happened. [Laughter] But my brother had met his spouse / his wife through eHarmony. He encouraged me to do it, and just to get him off my back, I did it; but I’m so glad I did. Kim: Oh, that is too funny. Ramona: You know, but today, I’m with a true gentleman. Tim taught—he put the gentle back in gentleman for me. He treats me with respect, with kindness. I mean we don’t always agree; but when we disagree, we disagree in a way that’s respectful and kind—very, very different than my first experience. Kim: Since this interview, believe it or not, I’ve had a lot of opportunities to talk about the topic of domestic violence with individuals; and it was so empowering to have this information that Dr. Ramona shared because I felt like I was finally able to better understand how to walk with friends who are experiencing abuse. I’ve actually recommended Dr. Ramona’s book to several people already because the wisdom she has / the experience she has speaks volumes. Psalm 120 starts out: “In my distress I called to the Lord, and He answered me.” That’s where our hope lies—in the Lord—even in the darkest of moments when we think we are all alone, no one cares. He is there. He hears our cry, and He cares. Once again, thanks for listening. 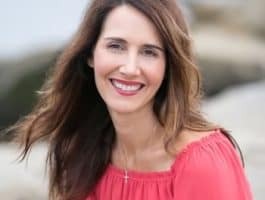 If you’d like more information on our guest Dr. Ramona Probasco or her book which is called Healing Well and Living Free From an Abusive Relationship. Check out our show notes. You can find them on the Unfavorable Odds page at FamilyLife.com/podcasts. If you enjoyed today’s conversation with Dr. Ramona Probasco, I hope you’ll consider subscribing to the podcast. You can search for Unfavorable Odds on iTunes or Stitcher or wherever you go for podcasts. We love your feedback and positive reviews are appreciated. One more thing, I want to ask you to help us to spread the word about our podcast. Maybe, think about one or two people who may enjoy or benefit from listening. Cameron: Every parent has their wildest dream, and every parent has their worst nightmare. Our family experienced both in a 48-hour span. When I heard that my worst nightmare had occurred, it was so surprising to me what came out of my mouth. Kim: Cameron Cole, next time. I’m Kim Anthony. Thanks for listening to this episode of Unfavorable Odds. 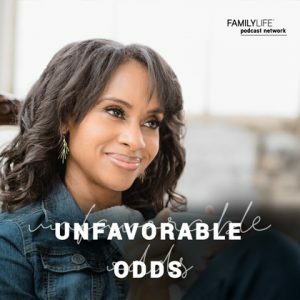 Unfavorable Odds is produced by FamilyLife and is a part of the FamilyLife Podcast Network. Four time national champion gymnast Kim Anthony introduces us to men and women who have faced trials, tragedies and suffering and who have found that when you walk through the valley of the shadow of death, God is with you every step of the way.